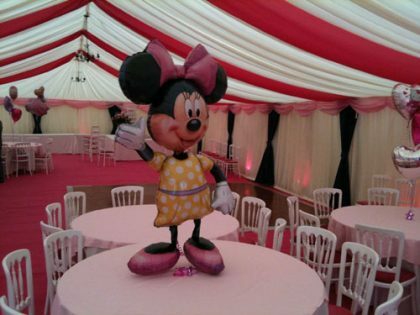 Marquees provide the perfect party venue for all sorts of different occasions. 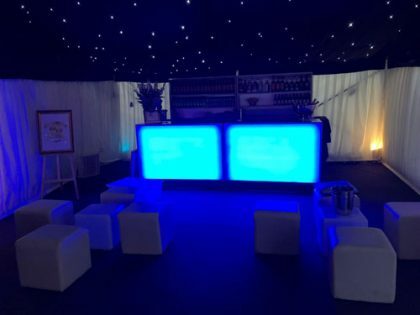 Their versatility allows you to be creative and gives you an opportunity to inject your own sense of style and character into the event. Our marquees can easily be attached to the back of your home if you are looking to create extra space. Or they can stand alone in the garden keeping all of your guests out of the house. 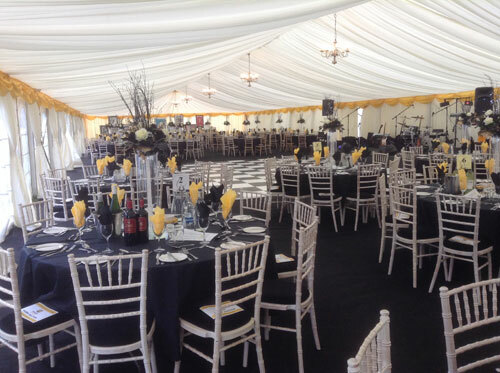 To see a fully working marquee, come and visit our Show Marquee. Be sure to look at our accessories page to see what items we have that you may think will enhance your event. 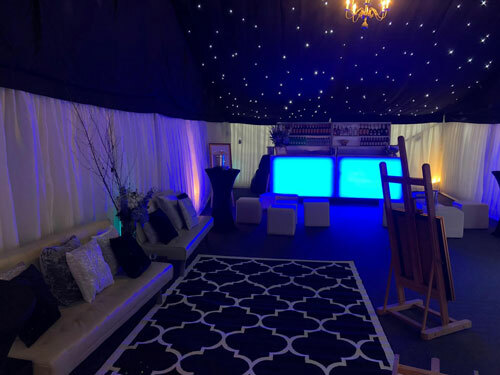 Our glow bar and black and white dance floors are particularly popular when creating something memorable for your guests. 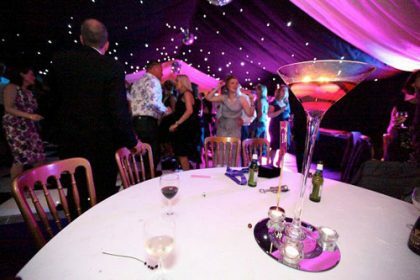 If you are having the party at home be sure to book a no obligation site visit with one of our experts today. 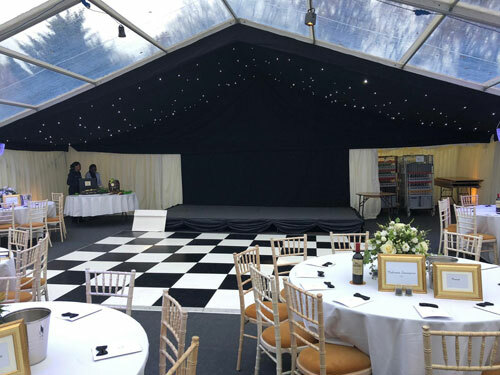 This will give them an opportunity to assess the site to see what size marquee will fit in the space and to advise you the best way in which to do so. 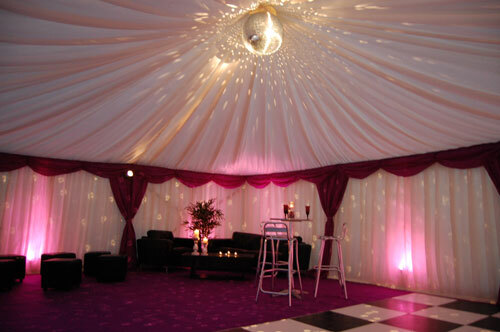 There are many ways you can inject colour into your marquee. 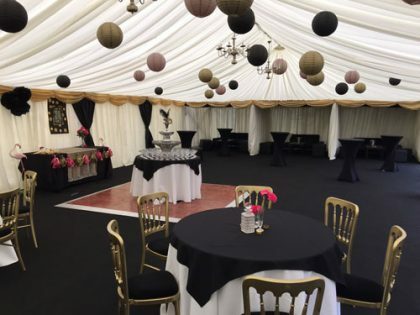 Firstly there is what is known as a swag which is a three scallop valance which runs around the door height of the marquee where the roof lining meets the wall lining. This swag is available in many different colours; a colour chart is shown at the site visit and can make a real impact for your marquee. If you are having a DJ or a band make sure that you mention it to one of our experts at the site visit so space can be allocated to accommodate them. womens health. Our team will be able to supply power points for any entertainment either from your house or from a generator. Getting the right furniture for your party can be essential. We have a wide choice of furniture to choose from. To create a less formal feel choose low level seating such as leather cube seats, glow seats or sofas. 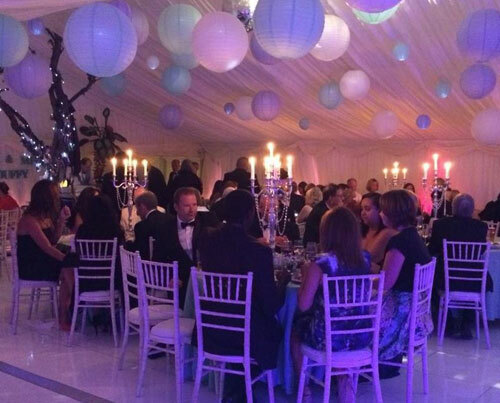 Monaco Marquees works with a number of local caterers who we would be happy to put you in touch with. Think about how you would feed your guests, whether you would like to have a silver service 3 course meal or maybe a simpler canapé reception. Barbeque and hog roasts are becoming increasingly popular as a hearty meal that can be eaten whilst standing and chatting. The darker you choose your colours the more contemporary and stylish the marquee will look. It is a good idea to match your swag colour with your carpet colour as they can complement each other extremely well. If you are short on space and you do not have enough room for a band or DJ you may want to consider hiring one of our iPod PA systems. You will be able to create your own playlist and it will save you a few pennies at the same time. If possible try and be flexible with the date of your event. Ask us first to see if there are any weekends with high availability as we may be able to give booking discounts. Book the marquee first then confirm the date with your guests. Have you considered bowl food for your event? They are 4 or 5 small sample portions of different main meals served through out the evening – a great way to get people talking and for something a little different.